← 07-09/11/12 Le Maroc, futur pays pétrolier? 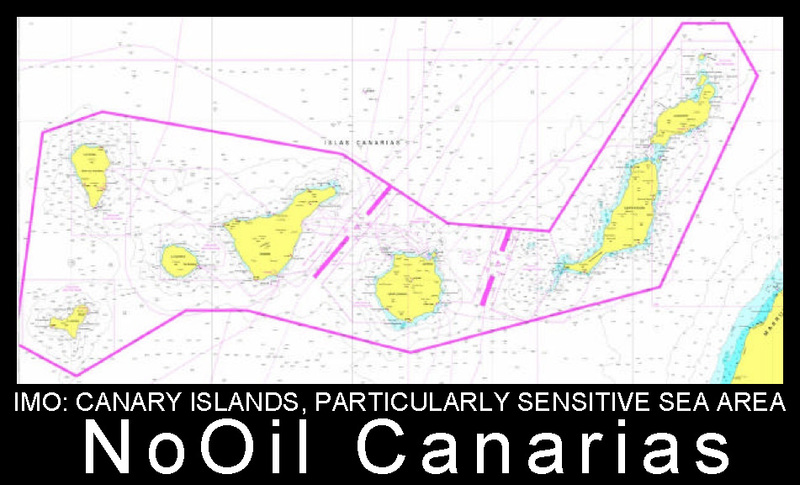 UNITED NATIONS: DESIGNATION OF THE CANARY ISLANDS AS A PARTICULARLY SENSITIVE SEA AREA. This entry was posted in Information and tagged biosfera, Canary Islands, environmental impact, fracking, Fuerteventura, IMO, Isla Canarias, José Manuel Soria, Kanarische Inseln, Lanzarote, Marruecos, noOil Canarias, nooilcanarias, offshore, oil, oil platform, Partido Popular, petrol, petrolíferas, PP, prospecciones, repsol, United Nations. Bookmark the permalink.